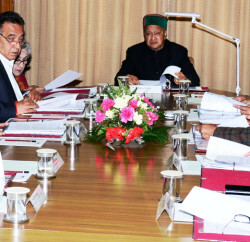 Himachal Pradesh cabinet, which met here today under the chairmanship of Chief Minister Virbhadra Singh decided that Himachal Pradesh Industrial Development Bank (HPIDB) will make equity contribution of Rs. 350 crore in H.P Power Corporation Limited for Shongtong-Karcham (450 MW), Sainj (100 MW), Sawara Kuddu (111 MW) and Kashang (234 MW) hydro electric projects during the year 2013-14. 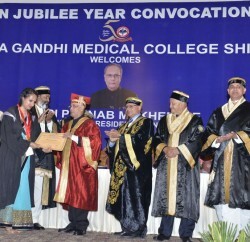 It was also decided the equity contribution of State government till 2012-13 to the extent of Rs. 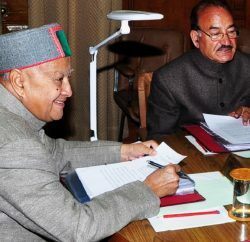 350 crore will be disinvested by the Himachal government from H.P Power Corporation Ltd. in favour of HPIDB and the same will be substituted by HPIDB investment as equity contribution to provide fiscal space for the State. Cabinet also granted its nod of special extension for a period of 10 months by levying an extension fee @ Rs. 20,000 per MW per month in favour of developer M/S Venture Energies Technologies Ltd for obtaining clearances and start construction work of Sai Kothi (15 MW) HEP.